And prices vary massively depending on which one you stop at! We all know that when we stop at a UK motorway service station, the price we pay for the basics, such as a sandwich or a drink, is going to cost us more than we normally pay in the supermarket – but how much more are we actually paying for the same thing? According to a new investigation carried out by Admiral, not only are motorists paying over the odds for basic items, the prices vary massively depending on which one you stop at in the country! Motorists travelling to the South East feel the pinch more – motorists are having to fork out four times more for a ham sandwich than they would have to pay in a supermarket. Rip off motorway services charging customers way more for basic items than supermarkets © Copyright Steve Fareham and licensed for reuse under this Creative Commons Licence. Car insurance specialists, Admiral, discovered that a basket full of basic items, such as a packet of crisps and a bottle of water, purchased from a service station cost twice as much as they would in a supermarket or convenience store. 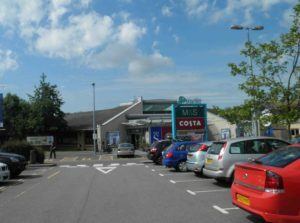 As part of their investigation, a number of secret shoppers visited 21 motorway service stations across the country. Each shopper was asked to fill a shopping basket with a number of basic items to find out the total cost. A 500ml bottle of Coca-Cola, a 500ml bottle of water, a sausage roll, a ham sandwich, a bag of Walkers crisps, a Cadbury Dairy Milk chocolate bar and a bag of wine gums were placed in the shoppers’ basket; plus they found out what the price would be for a latte, cheeseburger and fuel. Admiral asked the shoppers to fill their baskets at service stations not connected to a supermarket outlet. The most expensive basket was in the South East, coming in at £15.85, costing twice the price and more than it would at a supermarket (£6.11). The second priciest basket was in the South West at £15.79, with the North East closely behind at £15.54. Motorists travelling in the North West fared the best, paying £11.36 for their basket – almost a third cheaper than motorists were paying in the South East. In Scotland, a ham sandwich cost £2.10, whereas in the South West, South East, North East and Yorkshire, customers were paying an alarming £3.99 – in the supermarket, a ham sandwich costs just £1.07. Drink prices also varied in price across the country, with a bottle of Coca-Cola costing £2.49 at the Leigh Delamere services on the M4, whilst at the Heart of Scotland services in Lanarkshire, motorists paid only £1.79 for the same product. Bottles of water at Durham, Magor on the M4 and Sedgemoor on the M5 cost £1.75, whereas in the Heart of Scotland cost just £1.09 – the cheapest price found for a 500ml bottle of water. Sedgemoor, Magor, Durham and Bothwell on the M74 in Scotland charged the most for a sausage roll – £2.69, much more expensive than the cheapest sausage roll found at the Heart of Scotland services, coming in at only 80p – even cheaper than the supermarket. In the South East, a bag of wine gums cost £3.29 – normally found in most supermarkets for the price of £1! A bag of Walkers crisps cost £1.39 at a number of service stations including Hilton Park on the M6, Reading and Winchester. In comparison, the cheapest bag of crisps (90p), were found at Leicester Forest East and London Gateway. The secret shoppers were also asked to price up hot food and drinks available at most service stations, including the cost of a latte and a cheeseburger – motorists are paying over the odds for these too! A latte at Sedgemoor and Magor will set you back £3.35, whilst the cheapest latte came in at £2.20, found at Woolley Edge on the M1. The most alarming of them all has to be the price of a cheeseburger. In the South West, customers are having to fork out £7.49 for a cheeseburger – four times more than the cheapest in the North East at £1.74. Fuel costs also varied across the country – in many areas, motorists are paying 11% more for diesel and 13% more for petrol. The West Midlands has the most expensive fuel prices, whilst the cheaper fuel costs were found in South Wales. 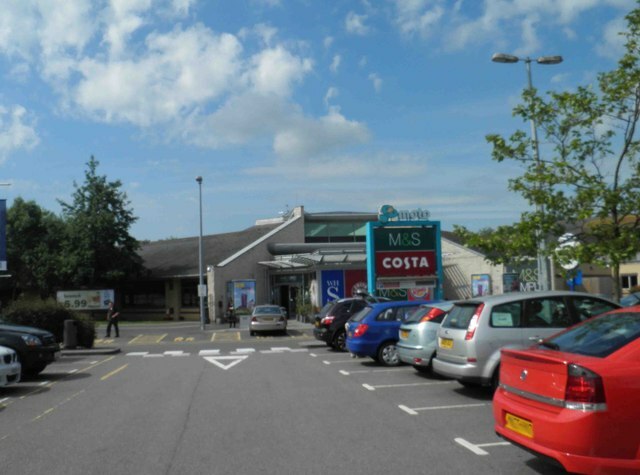 “Our research shows motorists are being hit with a snack tax when stopping at motorway service stations up and down the country,” said Alistair Hargreaves from Admiral.